2016 was a big year for natural disasters around the world, particularly strong, damaging earthquakes in Taiwan, Italy, New Zealand, Japan, and Indonesia . BMP looks at the role of engineers in building resilience against natural disasters in Australia. Australia is at risk of hazards such as major droughts, uncontrolled bush fires, flooding, heatwaves, tsunami, landslides, and earthquakes . Natural hazards become disasters when the physical and environmental factors overwhelm the human capacity to respond, influenced by factors such as social vulnerability, emergency pre-planning, and adaptive capacity . For example, the hazardous and devastating Black Saturday bushfires in 2009 were a disaster because they killed hundreds of people and caused billions of dollars of insured damage . Other declared disasters in recent decades include, the Millennium Drought between 1995-2009; the Sydney hailstorm in 1999; Cyclone Larry in 2006; floods in Queensland in 2011; and the NSW bushfires in 2013 . Despite having no fault lines running through the country, Australia is also considered as one of the world’s most active intraplate regions, with a number of seismic hot spots .More than 20 independent earthquakes of 6.0 or more magnitude in the last 100 years have occurred in Australia . The Meckering earthquake in 1968 was a natural disaster because the hazardous earthquake damaged many public buildings such as schools and hospitals . The damage to Meckering was an important milestone for earthquake standards in Australia. After the disaster, the AS2121 Australian earthquake code was introduced, which recognised the need for strong infrastructure holding critical services to stay operational during earthquake recovery . Meckering Public Hall earthquake damage, 1968. Barmco Mana McMurray recognises the importance of the built environment being resilient to natural hazards. We value human safety, the continuity of business, and reducing damage costs during natural disasters. Throughout the building lifecycle, from concept development, design, base construction, fit out, occupation and use, to maintenance and eventual renovation, BMM takes into account the management of risks and hazards and the compliance with building codes and standards. The social costs and loss of life of natural disasters to a community can be devastating. There are also very large economic costs involved. In 2015 natural disasters in Australia cost over $9 billion, and this is projected to increase to an average of $33 billion each year by 2050 . This includes the cost of restoring essential public infrastructure such as roads, railways, and hospitals . Therefore, robust infrastructure is a foundation for a safe and resilient community, and disaster resilience must be incorporated into the planning of infrastructure. The occurrences of more extreme climate events and natural hazards in the future can be attributed to climate change, as increased global temperatures raise the risk of drought, higher storm intensity, and cyclones . Barmco Mana is aware of the responsibility it has for the environment, and aims to do their part through waste streaming and promoting energy efficiency. Resilience against natural disasters is a consideration in all aspects of the building life-cycle, and BMM considers the safety of our clients and the future community users in all of our buildings. Sewell, T., Stephens, R. E., Dominey-Howes, D., Bruce, E., & Perkins-Kirkpatrick, S., 2016. Disaster declarations associated with bushfires, floods and storms in New South Wales, Australia between 2004 and 2014. Scientific reports, 6. Australian Earthquake Engineering Society, 2016. 1968 Meckering. ABCB, 2014. 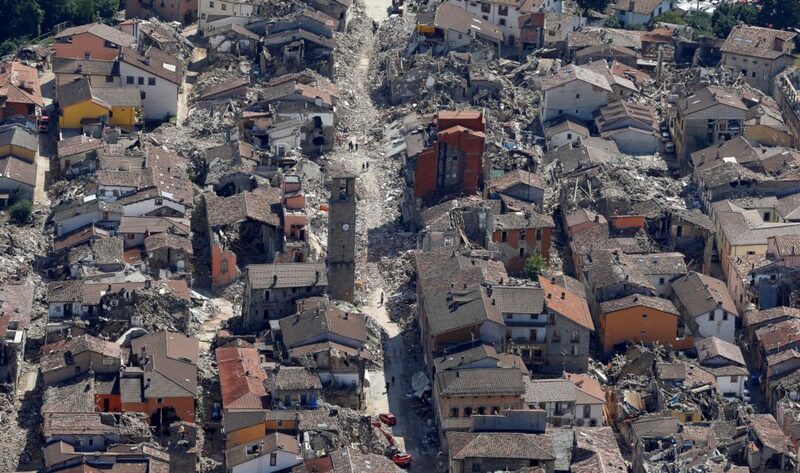 Resilience of Buildings to Extreme Weather Events Final Paper. Red Cross, 2016. Natural Disasters to Cost Australia 33 Billion per Year. Earth Observatory, 2016. The Impact of Climate Change on Natural Disasters. a perfect approach? I’ve a venture that I’m simply now operating on, and I’ve been on the look out for such information.